Welcome to the Church of Saint Patrick, a Catholic Church in Sarasota, Florida! You have finally found a place to call home and people you can call your church family. 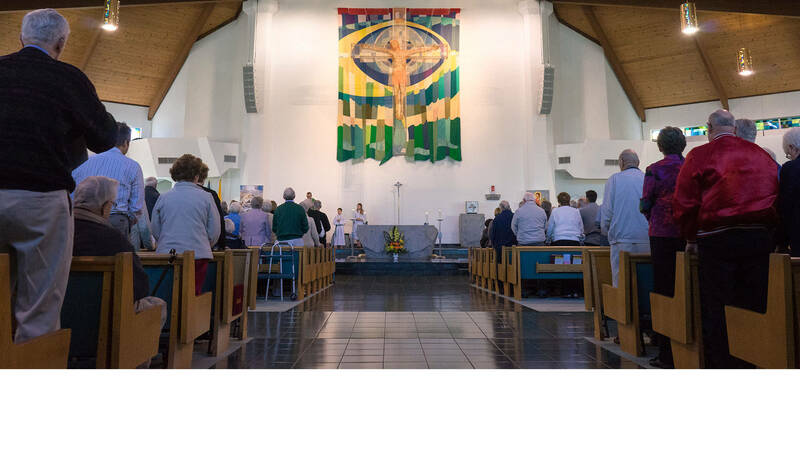 Saint Patrick's Catholic Church is a vibrant, family friendly parish community located just east of I-75 (exit 207) on 15 acres of lush, tropical landscaped grounds in Sarasota, FL. Whether you were raised Catholic, Protestant, atheist, agnostic, or have never even considered church, religion, and spirituality, there is a place for you here. Our community includes the young & young at heart. We have Patriots and Buccaneer fans, soccer moms and golfing dads, children, singles, grandparents, empty-nesters and winter residents. And we are growing. Come grow with us!